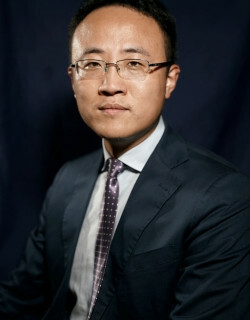 Bohui Zhang is the presidential chair professor of finance at The Chinese University of Hong Kong, Shenzhen, the associate director of Shenzhen Finance Institute, the director of the Center for FinTech and Social Finance. He is also the professor of finance at UNSW Business School, UNSW Sydney, and the associate director of the Institute of Global Finance (IGF). He studies FinTech, the media, Chinese capital market, and international capital markets. His papers have been accepted for publication in the global top-tier finance, accounting, and business journals such as the Review of Financial Studies, Journal of Financial Economics, Journal of Accounting Research, Management Science, Journal of Financial Quantitative and Analysis, Journal of International Business Studies, Review of Finance, Journal of Banking and Finance, Journal of Corporate Finance, Journal of Financial Markets, and Journal of International Money and Finance. He has also been awarded with research grants from Australian Research Council, the Centre for International Finance and Regulation, Australian School of Business, National Natural Science Foundation of China, and best paper prizes from MIT Asia Conference in Accounting, the Annual Conference on Asia-Pacific Financial Markets of the Korean Securities Association, the Chinese Finance Association Best Paper Symposium, the China Finance Annual Meeting, the Asian Finance Association Conference, China International Conference in Finance, and the Northern Finance Association Conference. 1. You, J., Zhang, B., Zhang, L. (2018), Who Captures the Power of the Pen?, Review of Financial Studies 31, 43-96. 2. Hoang, L., Moshirian, F., Nguyen, L., Tian, X., Zhang, B. (2017). How Do Foreign Institutional Investors Enhance Firm Innovation?, Journal of Financial Quantitative and Analysis 52, 1449-1490. 3. “Who Captures the Power of the Pen?” (with Jiaxing You and Le Zhang), 2017, Review of Financial Studies, forthcoming. 4.“The Determinants and Pricing of Liquidity Commonality Around the World” (Fariborz Moshiriana, Xiaolin Qian, and Claudia Koon Ghee Wee), 2016, Journal of Financial Markets, forthcoming. 5.“How do Foreign Institutional Investors Enhance Firm Innovation?” (with Luong Hoang Luong, Fariborz Moshirian, Lily Nguyen, and Xuan Tian), 2016, Journal of Financial Quantitative and Analysis, forthcoming. 6.“Dividend Policy and Earnings Management Across Countries” (with Wen He, Lilian Ng, and Nataliya Zaiats), 2017, Journal of Corporate Finance 42, 267-286. 7.“What Drives Investment-Cash Flow Sensitivity Around the World? An asset tangibility Perspective” (with Fariborz Moshirian, Vikram Nanda, and Alexander Vadilyev ), 2017, Journal of Banking and Finance 77, 1-17; Lead Article. 8.“Foreign Investor Heterogeneity and Stock Liquidity Across the World” (with Lilian Ng, Fei Wu, and Jing Yu), 2016, Review of Finance 20, 1867-1910. 9.“Foreign Institutional Ownership and the Global Convergence of Financial Reporting Practices” (with Vivian Fang and Mark Maffett), 2015, Journal of Accounting Research 53, 593-631. 10.“The Governance Effect of the Media’s News Dissemination Role: Evidence from Insider Trading” (with Lili Dai and Jerry Parwada), 2015, Journal of Accounting Research 53, 331-366. 11.“Political Uncertainty and Dividend Policy: Evidence from International Political Crises” (with Tao Huang, Fei Wu, and Jin Yu), 2015, Journal of International Business Studies 46, 574-595. 12.“The Invisible Hand of Short Selling: Does Short Selling Discipline Earnings Management?” (with Massimo Massa and Hong Zhang), 2015, Review of Financial Studies 28, 1701-1736. 13.“International Political Risk and Government Bond Pricing” (with Tao Huang, Fei Wu, and Jing Yu), 2015, Journal of Banking and Finance 55, 393-405. 14.“Commonality in News Around the World” (with Lam Tung Dang and Fariborz Moshirian), 2015, Journal of Financial Economics 116, 82-110. 15.“Cross Listing and Liquidity Commonality Around the World” (with Dang Tung Lam, Fariborz Moshirian, and Claudia Wee), 2015, Journal of Financial Markets 22, 1-26; Lead Article. 16.“Does PIN Affect Equity Prices Around the World?” (Previous title, “Informed Trading around the World”, with Sandy Lai and Lilian Ng), 2014, Journal of Financial Economics 114, 178-195. 17.“Does Auditor Choice Matter to Foreign Investors? Evidence from Foreign Mutual Funds Worldwide” (with Julia Chou and Nataliya Zaiats), 2014, Journal of Banking and Finance 46, 1-20; Lead Article. 18.“Systematic Liquidity and the Funding Liquidity Hypothesis” (with Xiaolin Qian and Lewis Tam), 2014, Journal of Banking and Finance 45, 304-320. 19.“Large Foreign Ownership and Stock Price Informativeness Around the World” (with Wen He, Donghui Li, and Jianfeng Shen), 2013, Journal of International Money and Finance 36, 211-230. 20.“Information Environment and Equity Risk Premium Volatility Around the World” (with Sie Ting Lau and Lilian Ng), 2012, Management Science 58, 1322-1340. 21.“The World Price of Home Bias” (with Sie Ting Lau and Lilian Ng), 2010, Journal of Financial Economics 97, 191-217; Lead Article. 1. “Is Information Risk Priced? Evidence from Abnormal Idiosyncratic Volatility” (with Yung Chiang Yang and Chu Zhang), 2018, Journal of Financial Economics, forthcoming. 2. “Googling Investor Sentiment around the World” (with Zhenyu Gao and Haohan Ren), 2018, Journal of Financial Quantitative and Analysis, forthcoming. 3. “Investor Protection and the Value Impact of Stock Liquidity” (with Tao Huang, Fei Wu, and Jing Yu), 2018, Journal of International Business Studies, forthcoming. 4. “Who Captures the Power of the Pen?” (with Jiaxing You and Le Zhang), 2018, Review of Financial Studies 31, 43-96. 5. “The Determinants and Pricing of Liquidity Commonality Around the World” (Fariborz Moshiriana, Xiaolin Qian, and Claudia Koon Ghee Wee), 2017, Journal of Financial Markets 33, 22-41. 6. “How Do Foreign Institutional Investors Enhance Firm Innovation?” (with Luong Hoang Luong, Fariborz Moshirian, Lily Nguyen, and Xuan Tian), 2017, Journal of Financial Quantitative and Analysis 52, 1449-1490. 7. “The Governance Transfer of Blockholders: Evidence from Block Acquisitions and Earnings Management around the World” (with Lili Dai, Ravi Dharwadkar, and Linna Shi), 2017, Journal of Corporate Finance 52, 586-607. 8. “Dividend Policy and Earnings Management Across Countries” (with Wen He, Lilian Ng, and Nataliya Zaiats), 2017, Journal of Corporate Finance 42, 267-286. 9. “What Drives Investment-Cash Flow Sensitivity Around the World? An asset tangibility Perspective” (with Fariborz Moshirian, Vikram Nanda, and Alexander Vadilyev), 2017, Journal of Banking and Finance 77, 1-17; Lead Article. 10. “Foreign Investor Heterogeneity and Stock Liquidity Across the World” (with Lilian Ng, Fei Wu, and Jing Yu), 2016,Review of Finance 20, 1867-1910. 11. “Foreign Institutional Ownership and the Global Convergence of Financial Reporting Practices” (with Vivian Fang and Mark Maffett), 2015, Journal of Accounting Research 53, 593-631. 12. “The Governance Effect of the Media’s News Dissemination Role: Evidence from Insider Trading” (with Lili Dai and Jerry Parwada), 2015, Journal of Accounting Research 53, 331-366. 13. “Political Uncertainty and Dividend Policy: Evidence from International Political Crises” (with Tao Huang, Fei Wu, and Jin Yu), 2015, Journal of International Business Studies 46, 574-595. 14. “The Invisible Hand of Short Selling: Does Short Selling Discipline Earnings Management?” (with Massimo Massa and Hong Zhang), 2015, Review of Financial Studies 28, 1701-1736. 15. “International Political Risk and Government Bond Pricing” (with Tao Huang, Fei Wu, and Jing Yu), 2015, Journal of Banking and Finance 55, 393-405. 16. “Commonality in News Around the World” (with Lam Tung Dang and Fariborz Moshirian), 2015, Journal of Financial Economics 116, 82-110. 17. “Cross Listing and Liquidity Commonality Around the World” (with Dang Tung Lam, Fariborz Moshirian, and Claudia Wee), 2015, Journal of Financial Markets 22, 1-26; Lead Article. 18. “Does PIN Affect Equity Prices Around the World?” (Previous title, “Informed Trading around the World”, with Sandy Lai and Lilian Ng), 2014, Journal of Financial Economics 114, 178-195. 19. “Does Auditor Choice Matter to Foreign Investors? Evidence from Foreign Mutual Funds Worldwide” (with Julia Chou and Nataliya Zaiats), 2014, Journal of Banking and Finance 46, 1-20; Lead Article. 20. “Systematic Liquidity and the Funding Liquidity Hypothesis” (with Xiaolin Qian and Lewis Tam), 2014, Journal of Banking and Finance 45, 304-320. 21. “Large Foreign Ownership and Stock Price Informativeness Around the World” (with Wen He, Donghui Li, and Jianfeng Shen), 2013, Journal of International Money and Finance 36, 211-230. 22. “Information Environment and Equity Risk Premium Volatility Around the World” (with Sie Ting Lau and Lilian Ng), 2012, Management Science 58, 1322-1340. 23. “The World Price of Home Bias” (with Sie Ting Lau and Lilian Ng), 2010, Journal of Financial Economics 97, 191-217; Lead Article.